Fluoridation ranks with GMO’s, chemically tainted toxic foods, and vaccinations as crimes against humanity. You’ll soon see why implementing some sort of fluoride detox protocol is so important. The EPA has classified these waste products as toxins: Fluorosilicic acid, sodium silicofluoride, and sodium fluoride. I’m using the term sodium fluoride to include all three types. Water fluoridation advocates like to point out that toxic sodium fluoride is okay when it is generously diluted. They’re of the old school perception that if you don’t drop dead or get seriously ill immediately, it’s not toxic. But fluoride tends to accumulate in the body’s bones and teeth. Recently, it has been discovered to accumulate even more in soft tissue such as the thyroid and pineal glands. Dental fluorosis from daily fluoridation has been documented. Yet, the American Dental Association (ADA) continues riding a dead horse, promoting water fluoridation. They refuse to admit that instead of preventing tooth decay, fluoride causes even more dental harm. Cancer – 10,000+ cancer cases from fluoride ingestion. Neurological Damage – Diminished IQ and inability to focus, docility, and weariness. Alzheimer’s Disease – When calcification occurs in the brain. Melatonin Disruption – Lowers immunity to cancer, accelerates aging, increases sleep disorders. Damage to Pineal Gland – Causes calcification in this gland located in the middle of the brain that governs several endocrine/hormonal functions. Some consider this gland the “third eye” or gateway to psychic powers and mystical awareness. Humans and animals should not be part of the toxic waste removal system for toxic industries. If others wish to use fluoridated toothpaste or have their dentists coat their teeth with pharmaceutical grade fluoride, both of which have lethal consequences if swallowed, that’s their business. But forced medication that’s beyond unhealthy is our business. Over 70% of American municipalities fluoridate their water supplies. Resisting and overturning this forced medication health hazard in each city or county is important. In the meantime, protect yourself and family by filtering your water with combined carbon and reverse osmosis filtration. If it’s impractical to install a system, take advantage of those machines that utilize both systems in food stores. They’re inexpensive. 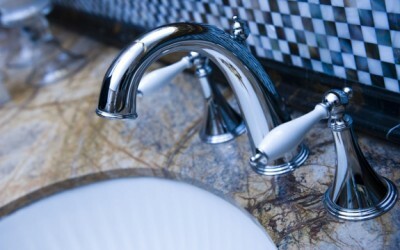 Reverse osmosis does also remove some beneficial minerals. You can add them back with trace mineral solutions or sea salt. Noel, get yourself a distiller. I’ve been using this system for eight years & I am now on my second one (The first one lasted seven yrs.) They are trouble free & fully automatic. Just add a pinch of sea salt to a glass of the distilled water that you may drink to put back the beneficial minerals the process takes out. If you would like more info., please E-mail me. I wonder if you have compared ProPUR filters against reverse osmosis systems. And, I am confused about ProPUR’s filtration mechanism, is it adsorption or mechanical filtration? That's the point, there's no cheap and easy way for people who get municipal water to purify it themselves. I have started using the carbon & reverse osmosis water from my health food store. I have noticed a definite difference in taste and smell, in fact I cannot even use tap water to brush my teeth anymore because it is so polluted. The cost for two of us plus the dog is about $30 a month, we use about 2 – 3 gallons a day between us. It's not an expense I like or can afford to incur, but the alternative is no longer an option for my family. My solution, I am selling my house and moving to a place where I will have well water. Extreme? Maybe. I'm just not willing to sit around and wait for the world to wake up, and hope that it's in time. If you can't afford clean water, get involved with this cause to stop fluoridation. It's a problem for everyone, I can sympathize. Unfortunately there's not a quick or easy fix. As a very educated man, and a physician, having done research, a lot of research on toxic molecules, the science is very clear, there is no safe amount of fluoride, NONE. Fluoride is poisonous in any and all amounts. So, the push is fraud. Why? Fluoride was the only molecule known to be able to separate radioactive uranium from non-radioactive uranium. And once separated, they need to remove the fluoride, and it ended up a disaster down wind. It was a fraud to protect the money. The list of frauds by those in charge to make money, is getting to be a long list. The Solution: LOTTERY, remove elections, start SELECTIONS, all elected officials need to be changed to SELECTED officials. 2: Max of 100 employees for any and all companies, entities, govt, all. If we keep each entity at 100 or less, no single entity can gain market share, we will have to share and cooperate. OK, so I get the fluoride issue but nobody seems to be telling me how do I purify water that comes out of the tap. I can not afford to buy bottled water ($30/month adds up to a lot of money). May be you should do a comprehensive article on water purification at home. The methods should be effective and reasonably affordable for purchase and maintenance. now am having obstructing problems, no sure. If you can do a test with the ProPur, please do so. I've heard those things don't quite filter out the fluoride. Contrary to their advertisements. They don't add fluoride to our water. They add fluorosilicic acid, containing 23% fluoride (rat poison), mercury, lead, arsenic, cadmium, barium and polonium, The latter three poisons are know radioactive carcinogens. And, we can easily end fluoridation. All we need to do is get 12 volunteers in every city with fluoridated water, arm them with fully automatic weapons and have them kill all the city council members who advocate fluoridation. Of course we'd need to release a statement relating what it was all about and a warning to future council persons. sorry, had to put a thumb down… your second paragraph just would be of no help, also it's a extreme measure that isn't necessary. Why not just be like Martin Luther King Jr, and Gandhi, peaceful protests are the way to go! As well well sending out informative articles like this to the world, to be read, and so the people can use their knowledge as power! I'm glad I have a well! These products "are waste products of the nuclear, aluminum, and now mostly the phosphate (fertilizer) industries in Florida and China." PLEASE tell me we aren't importing this stuff from China! This can't be good for you. There are a few toothpastes that are fluoride free in the organic food aisle , which we use. I'm always intrigued at the way "I don't want fluoride in my water" has become shorthand for "conspiracy nut"… but no one can remember why. Everyone just KNOWS (in some innate way) that only loonies don't want to drink, bathe in, or water their plants in fluoride. I had someone go at me awhile ago, and I asked a few simple questions: "Is it toxic? Are we getting more than the safe level? So how am I a conspiracy nut?" It's that basic.